Baghdad is a city that looms large in the American imagination. In 2003, at the start of the last Iraq war, it was occupied by U.S. troops. In the years that followed, thousands of U.S. citizens (soldiers, contractors, officials and journalists) passed through Baghdad. My own memories of the city are of its heat and light and the brokenness of its buildings and the kindness of its people. I lived there in 2003, briefly, as a reporter. The ongoing war and the constant fear of being swept up in the conflict that was destroying the city kept us Americans from exploring in it. The legendary Baghdad, that center and crossroads of Mesopotamian cultures, the city of “One Thousand and One Nights,” remained unknown to us. 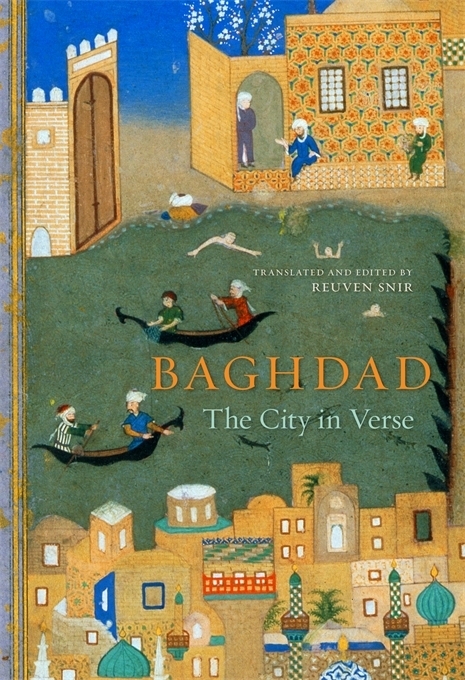 The poems in “Baghdad: The City in Verse,” an ambitious and enlightening anthology of poetry written in and about that city, date from the first decades after its founding in the 8th century, up to the war that drove Saddam Hussein from power. They capture the vast sweep of the city’s history, its enchantments and its seemingly ever-present tragedy. Those words proved prophetic: In 1258, Baghdad was besieged and largely destroyed by Mongol armies, who also massacred thousands of the city’s inhabitants and destroyed its libraries. “Oh seekers of news about Baghdad, the tears will tell you...” the poet Taqi al-Din ibn Abi al-Yusr wrote afterward. “No benefit from remaining here, the beloved has departed ... all has been burned to ashes.” But Baghdad endured. Founded by a caliph to be the capital of the Islamic empire, later occupied by the Ottoman and British empires, Baghdad from its founding thrived as a place of cultural encounters. It had a large Jewish population until 1951, and “Baghdad: The City in Verse” is edited by Reuven Snir, an Israeli-born son of the Iraqi-Jewish diaspora. Snir’s father grew up in Baghdad and was an ardent lover of the city and of Arabic poetry. “My parents used to speak the Baghdadi dialect of Judaeo-Arabic at home, even though my brothers, my sister and I always responded in Hebrew,” Snir writes in an introduction. He is now a professor of Arabic literature at the University of Haifa. Many prominent, contemporary Arab-language writers have work in this anthology, including the Syrian poet Adonis, and Sinan Antoon. From exile in New York, Antoon writes a poem dedicated to a Baghdad street famous for its book market ― and where a suicide bombing killed 26 people in 2007.